This time of year is a favorite for so many reasons. Farmer’s markets are in the top five (losing the puffy coat, getting transplants into the ground and more sunlight make the list too). 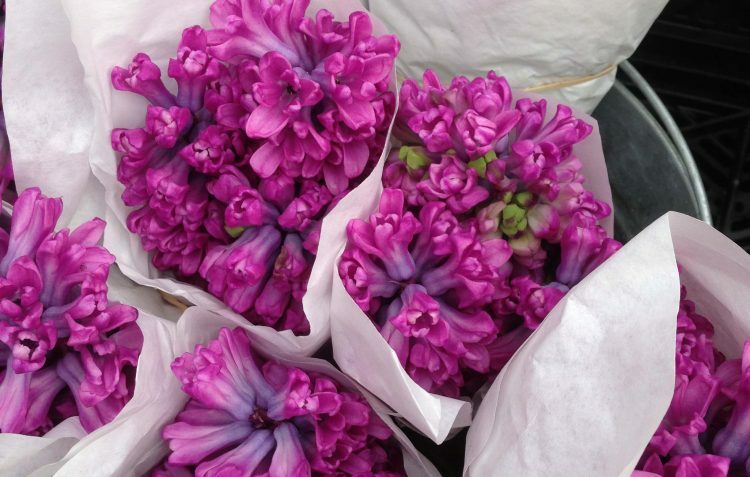 Many markets are open year round but there’s nothing quite like getting out of your stuffy apartment and taking in all the gorgeous colors and aromas on a spring day. I just took a stroll through Union Square Greenmarket and it did not disappoint. Seedlings are everywhere, lots of Hyacinth and other fragrant flowers. There are dairy farmers and vendors selling warm pear cider. Pure heaven. Keep in mind that sprouts are highly perishable so plan to eat them as soon as possible after purchase. For a green market in your area visit Local Harvest.